Rafal Iwański (member of groups Voices of the Cosmos, HATI, InnercityEnsemble, KAPITAL, Alameda 5) is a percussionist and electronic sound artist from Toruń, Poland. 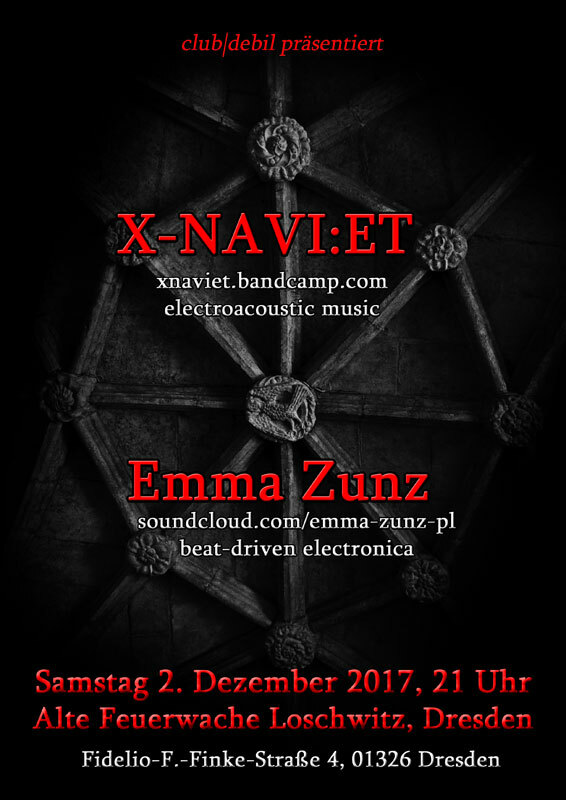 He presents electro-acoustic music, a combination of analog and digital electronic devices with acoustic instruments and field/found recordings. R. Iwanski is the enduring member and co-founder of the group HATI, whose improvised music employs the sounds of traditional ethnic instruments and recycled objects to create ritual and meditative atmospheres. Co-founder of electronic-guitar psychedelic duo KAPITAL (with Kuba Ziołek), electronic-astronomical project VOICES OF THE COSMOS (with Wojciech Zięba and astronomer Sebastian Soberski). As soloist he has performed more than 100 concerts in Poland, Germany, Great Britain, Slovakia and the USA, including festivals and series of concerts: Unsound (Kraków, 2017), UchoGmachu (National Museum, Warsaw, 2017), Hradby Samoty (Jelšava, Słowacja, 2017), Musica Privata (Fabryka Sztuki, Łódź, 2016), Festiwal Okultury (Centre of Contemporary Art Zamek Ujazdowski, Warszawa, 2016), Audio Art (Bunkier Sztuki, Kraków, 2013), FestivalTrans/Wizje (CoCA Zamek Ujazdowski, Warszawa, 2012), Skyway (Toruń, 2011), Blurred Edges Festival (Hamburg, 2011). He has collaborated with artists who work in many different musical and artforms: Z’EV, Peter Votava, Jeff Gburek, Richard Pinhas, Jerzy Mazzoll, Zdzisław Piernik, Yannick Franck, Phil Maggi, Joke Lanz, Raymond Salvatore Harmon, Xavier Bayle and many others. He participated in the recording and production of dozens of albums released on CDs, vinyl records, cassettes and DVD’s – published in labels Instant Classic (PL), Zoharum (PL), Beast Of Prey (PL), Wounded Knife (PL), Nefryt (PL), Monotype Rec. (PL), Requiem Records (PL), Hinterzimmer Records (CH), Idiosyncratics (BE), Ars Benevola Mater (IT), Drone Records (DE), PAS Records (USA) and occasionally on his small label EterRecords. He’s a member of Polish Society for Electroacoustic Music (since 2011). Hailing from Wroclaw, Rafal Jeczmyk took the name for his music project from the title protagonist of Jorge Luis Borges’s story – a short, only a few pages‘ seemingly simple tale of vengeance. For nearly seven decades, the story has been giving sleepless nights to literature researchers and readers, still reinterpreting it over and over, and following different clues. So is Emma Zunz music – seemingly simple yet in fact complex and drawing on many sources. This is beat-driven electronic music with an industrial feel, far from abstraction and experimentalism but narrative in its character and rooted in the past. The melodies are simple and the pad sounds are thick and multidimensional. Vintage-mindedness, pastiche and hauntology underpin the concept where one can find numerous references to areas outside music, such as literature, film and art. Some, pointing to the strong rhythm base of Emma Zunz’s pieces, tag the project’s music using the term techno, but even if it can be labelled like this – it’s a sort of techno music that is by far more suitable for listening than dancing.